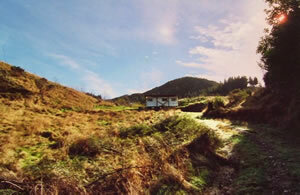 Back in 2003, I arranged a work secondment and went to live in New Zealand. I lived there for seven months, in a static caravan in the badlands of the remote NZ bush, or as the locals say, the wop-wops. The following articles are a few selected highlights of the full-length and not quite finished book "Wop wops - Off the beaten track in New Zealand." Life in the bush with too little, then too much water.